Have you heard of the saying “Books are a uniquely portable magic”? And where can you be guaranteed to always find books, besides bookshops? In libraries, of course! Libraries aren’t really the norm here except in schools, but we have a list for all the bibliophiles out there. 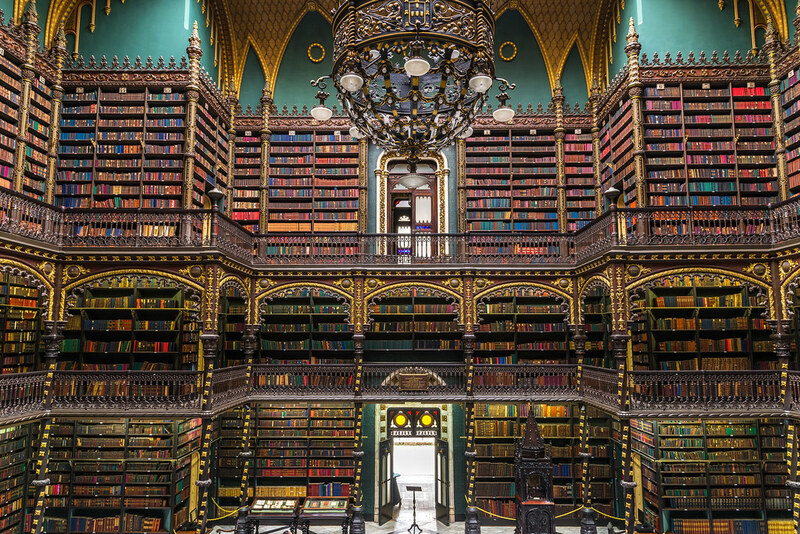 Presenting to you 12 impressive libraries around the world to feast your eyes on! These libraries are so beautiful that even non-readers will suddenly turn into bookworms! 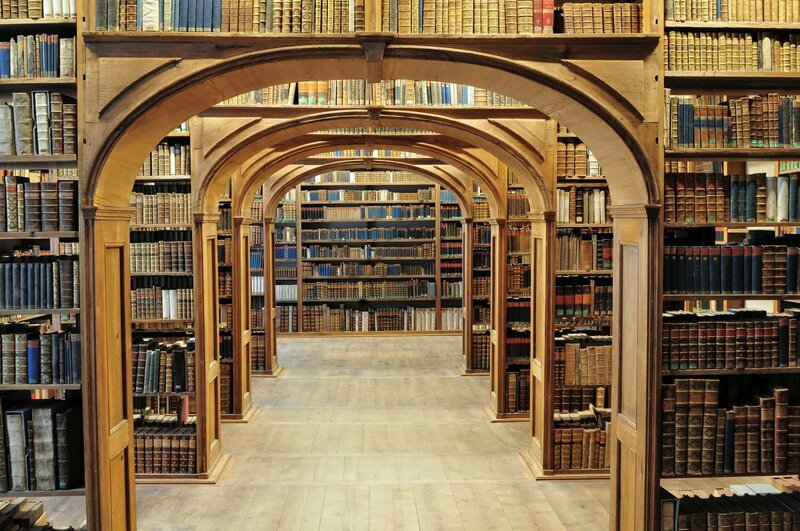 The Admont Abbey Library belongs to the Admont Abbey, which is the oldest remaining monastery in Styria. Built in 1776, the library is 70 metres long, 14 metres wide, and 13 metres high, making it the largest monastery library in the world! As soon as one steps in, it’s like being transported back in time to the Baroque era! At times, it is even known as the “eighth wonder of the world”! This library is the largest regional scientific library for Upper Lusatia and adjacent parts of Lower Silesia. Arches after arches mark the walkway, while books fill up every shelf flanking the arches. Visitors can sightsee at selected times, but you can also sign up for a guided tour if you like! As it’s a public library, you can drop by anytime as long as it’s open! The main library is uniquely structured, which is five storeys tall and is wedge-shaped. Covering the building is a (also five-storey) curved glass wall, where most of the light filters through. Did you know? This library has one of the largest (if not the largest) graphic novel collection in a public library! With books stacked from floor to ceiling on shelves against the walls, it’s hard to not be amazed by this library! More of a reading room, it’s easy to feel like you’ve travelled to the past, and get absorbed in a book or two all day long. There are more than 350,000 works from the 16th to the 18th century, and admission is free! Also known as “the brain” as it was modeled after the human brain, the Philological Library is part of the Free University of Berlin. The ceiling of this library featured both translucent and transparent glass panes, allowing weak beams of light and full-on views of the sky alternatively. Interestingly, this ceiling design has been compared to a checkerboard! Established in 1653 and being in continuous use since then, Chetham’s Library is the oldest free public reference library in the UK! Once the study hall of Karl Marx, it closely resembles “The Restricted Section” in Harry Potter, don’t you think? Potterheads will be thrilled to visit, and admission is free as well! The Palace of Mafra was classified as a National Monument in 1910, and was also one of the finalists of the Seven Wonders of Portugal. Located at the back of the second floor, the library houses more than 36,000 volumes on Rococo wooden shelves. Worried about insect damage to the books? Well, the library is also home to bats, which makes this issue redundant. Did you know that this library was once the home of an aristocrat, the Wenckhelm Palace? Today, it has been lovingly restored and turned into the largest library network in Budapest, Hungary. The highlight is the old-dining-room-turned-reading-room, which is all dark wood and comfy chairs, further accentuated by a chandelier and a spiral staircase. 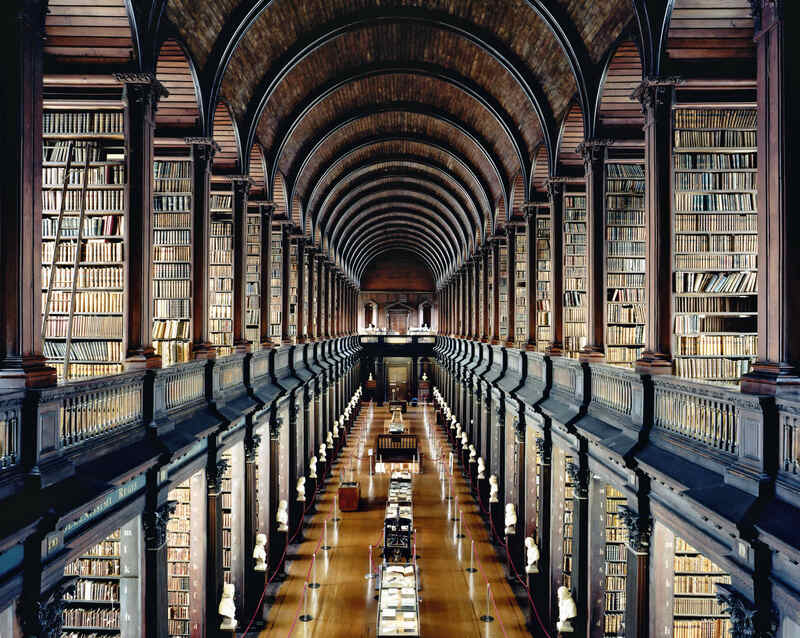 Serving both Trinity College and the University of Dublin, the highlight of this library is its Long Room, the 65-metre long main chamber of the Old Library. Lined with marble busts seemingly guarding the books behind them, the Long Room is truly a spectacular sight to behold. Furthermore, it houses the Book of Kells, a 9th century world-famous gospel manuscript. The Suzzallo Library is probably the most recognisable building on campus, especially the Graduate Reading Room. In Collegiate Gothic style and said to be inspired by Henry Suzzallo’s (the president of the university in 1915) belief that universities should be “cathedrals of learning”, the room is similar to Oxford and Cambridge colleges. Not only that, but it also has a grand staircase akin to Hogwarts’ staircase! At first glance, the Stuttgart City Library may seem just like a cube, but don’t let that plain facade fool you. It’s interior is wonderfully white and clean, including the walls, shelves, stairs and railings. Instead, it lets its visitors and books add a splash of colour, which is ingenious. It also won the national award in 2013: Library of the Year. 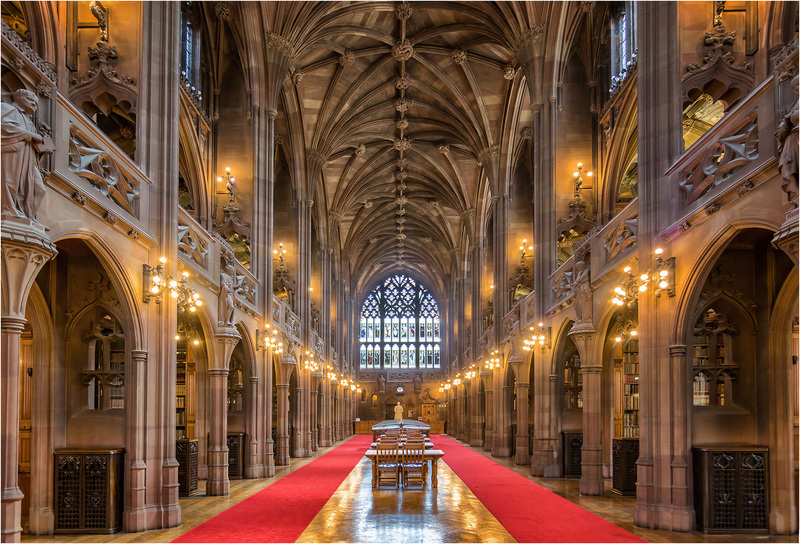 The John Rylands Library is a prime example of Victorian Gothic architecture, resembling a castle or cathedral more than a library. Part of the University of Manchester Library, this library is open for all visitors. The Reading Room is its highlight, presented in all its Gothic glory with high windows and statues looking down upon you. So much eye candy in a single page! Which library is your favourite so far, and why? Or have you visited any of these libraries before? Let us know in the comments below!